Most homes have a carpet somewhere. They still retain and trap dirt and dust, though. This means there’s always a market for carpet cleaning services. After all, who doesn’t want a clean house? Carpet cleaning is also a popular profession for the self-employed to enter. It’s vital you form a sustainable business model, though. You need to know that you can still be in business a year or five years from now. Let’s investigate how you should go about forming this sustainable business model. A sustainable business model is a business model that continues to work year after year. Sustainable business models can last for decades without changing. It’s important to bear in mind these models use principles. For example, no specific products need to be mentioned. A business model can use terms like ‘product x’ and ‘service y’. The principle remains the same no matter what shiny new product you come up with. Is there a Constant Market in My Area? 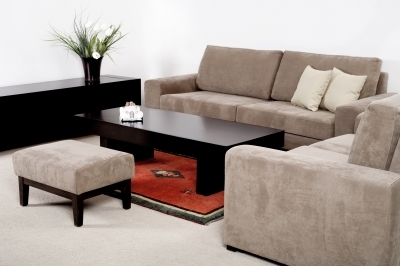 The benefits of professional carpet cleaning revolve mainly around having a clean carpet for years. This poses a problem for the carpet cleaning business model, however. The same customer will only return to you once every few years. In the meantime, you have to find other customers to continue tying you over. Check to see if there’s a viable market for cleaning in your area. Usually, it depends entirely on population and socioeconomic makeup. A tiny village will not give you a sustainable market. A large cluster of middle class suburbs, on the other hand, will offer this sustainability. You sustainability relies primarily on competing effectively with other carpet cleaners. Most startups can’t guarantee a certain number of customers to use them. This is why they struggle to form that sustainable business model. For now, you should work out a plan for self-promotion and gaining this solid customer base. In an industry like carpet cleaning, you have to rely on existing customers referring you to others. You don’t have a store where people can simply walk in off the street while browsing. Most carpet cleaning companies realize that carpet cleaning alone isn’t sustainable unless they have low competition and a large catchment area. Your business model should incorporate multiple services. Extras like the above help to maintain your sustainability. If your business dips in one area, other aspects of the business can help to keep you afloat. This is where the famous cliché of never keeping your eggs in one basket comes into force. Take note that the sustainable business model largely remains a hypothetical model. It won’t guarantee you success. There are so many other influences that can make or break your company. It’s up to you to change your model along the way as you learn new lessons and experience more of the local market and its demands.